You have questions about out yummy gummies and we have the answers! Below are the top fourteen most asked questions and answers. Question: Does Land Of The Gummies contract manufacture? Answer: Land Of The Gummies does offer contract manufacturing, please contact us for more details. Click here to contact Land Of The Gummies. Question: Do you give donations? If so, how can it be requested? Answer: Land Of The Gummies does provide donations on a select basis, please contact us for more information. Click here to contact Land Of The Gummies for a donation request. Answer: At this time, we do not accept credit card as a form of payment. We accept wire transfer and Automated Clearing House (ACH). We also accept company checks from approved credit terms customers. Question: How can I get pricing? Answer: Pricing is available by contacting sales@landofthegummies.com. Question: I’m interested in Land Of The Gummies products but can’t purchase in large quantities, where can I purchase individual case quantities? Answer: We have distributors who can sell in quantities less than our minimums, please contact sales@landofthegummies.com to be directed to one. Question: What is the order minimum to buy direct? Answer: To purchase directly from us, the minimum purchase amount is 1,000 lbs. per order. Question: Can I get a sample of the products? Answer: Yes, please contact sales@landofthegummies.com so we can direct the request to the proper district. Answer: Yes, we do offer international sales. Please contact us at sales@landofthegummies.com to discuss shipment. Question: Do you produce or pack these products near any known allergens? Answer: Each item lists an allergen statement on the package, please consult the package for the most up to date information. Question: What kind of gelatin does your company use in your candy? Answer: We use both beef or pork gelatin, depending on the product. For more information, please contact sales@landofthegummies.com. Question: Do you carry sugar free gummies? Answer: Yes, we do offer sugar free products. 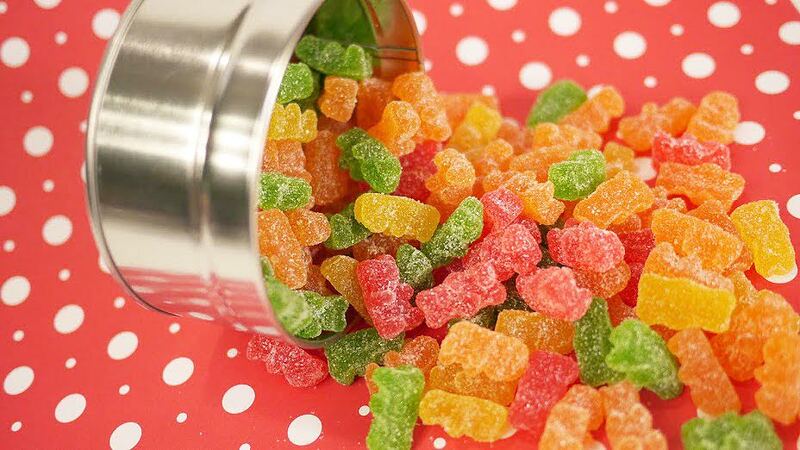 Click here to view our sugar free gummy selection. Question: Does Land Of The Gummies offer factory tours? Answer: At this time we do not offer factory tours. Question: Are your products Kosher? Answer: Our gummy products are not Kosher. Question: Do you produce CBD Gummies? Answer: Land Of The Gummies does not currently produce gummies with CBD oil. If you still have a question about any of our products or about Land Of The Gummies, we would love to get you the answers! Contact us today to get your questions answered.